Optional--1 clove roasted garlic per 1 tbsp. softened butter, mashed together, to create a roasted garlic butter. Mix yeast and warm water in a large bowl. Using a large spoon stir in the salt and 1 cup of the flour until combined. One cup at a time, stir in the rest of the flour until fully mixed together. Cover lightly with a towel in a warm place for 1 hour. Lightly oil a 10-12 inch. (pref. 12) cast iron skillet. Once the dough has rise, sprinkle some flour on top and cover hands with flour. 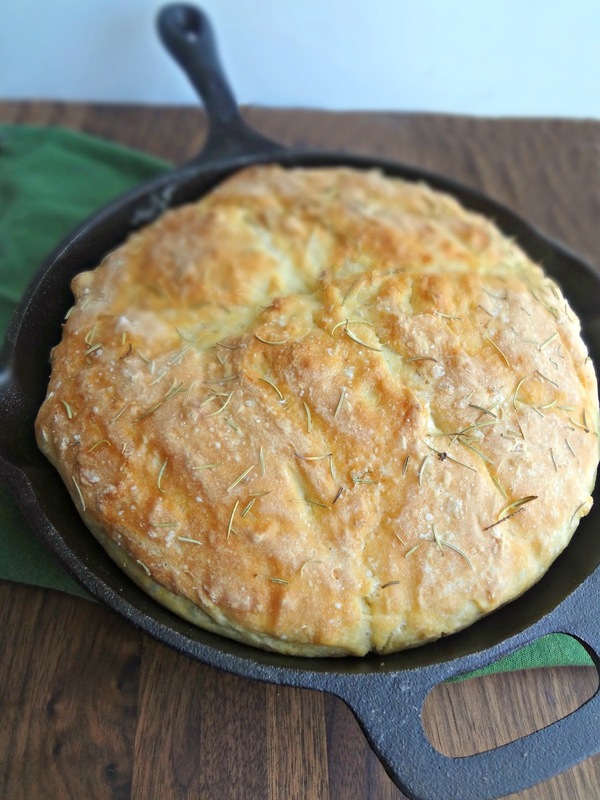 Take dough and press into a disc in the skillet. Cover loosely with a towel and let rise another 30 minutes. 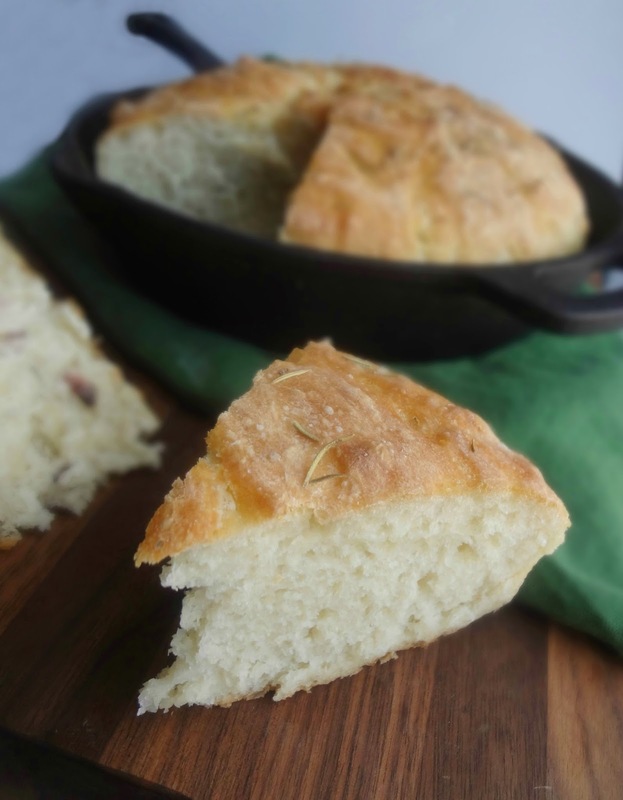 Drizzle olive oil over the top of the risen dough and use a knife to slash an X into the dough. Sprinkle with coarse/sea salt and rosemary (fresh is preferred, I used dried). Bake 35-40 minutes, until the top is a deep golden brown. Great recipe,I will try this soon!! This looks just lovely. I may have to make this this weekend. 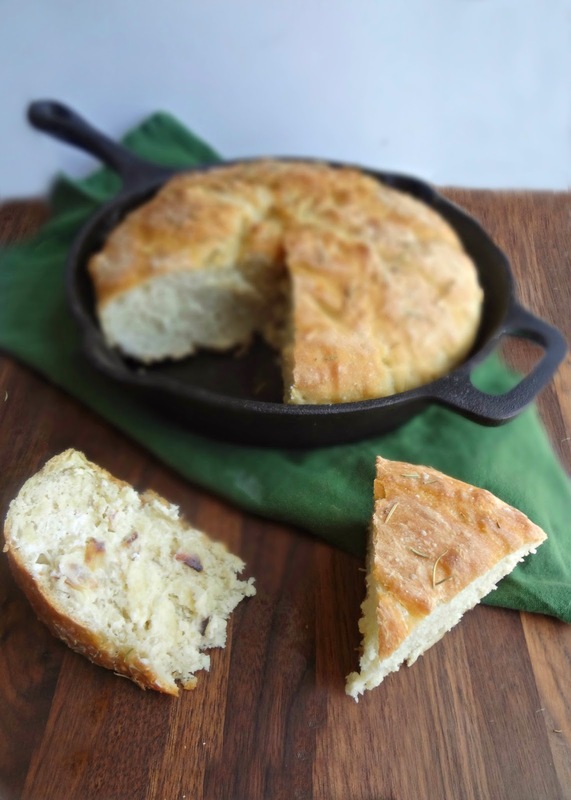 I have been making this bread for about 6 months or so now - its a great recipie and the timings work well for me between jobs. I find that I can just pop the mix into my skillet to let it rise, then I just use my fingers to sort of punch it down the first time. I also add the rosemary (I don’t use the salt) and olive oil at this point, then let it rise again for half an hour. I’m not really sure that it saves me a ton of time, but it skips having to wait for the dirty bowl to clean, and I don’t have to transfer the dough. 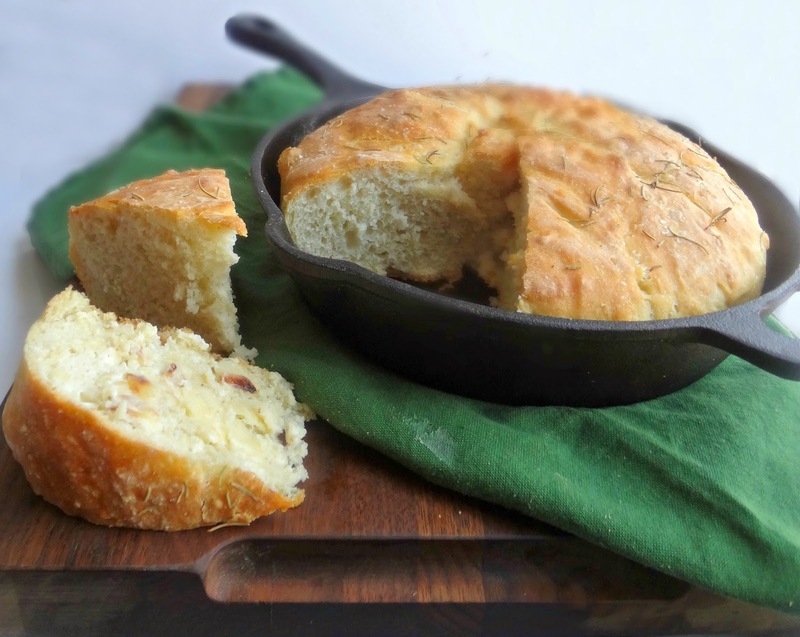 Plus, it makes a nice dented look on top the bread, which makes it kinda look artisan. I'm gonna make this tonight, looks easy and good.I'll let you know what we think about it. This recipe came out soooooo well!! 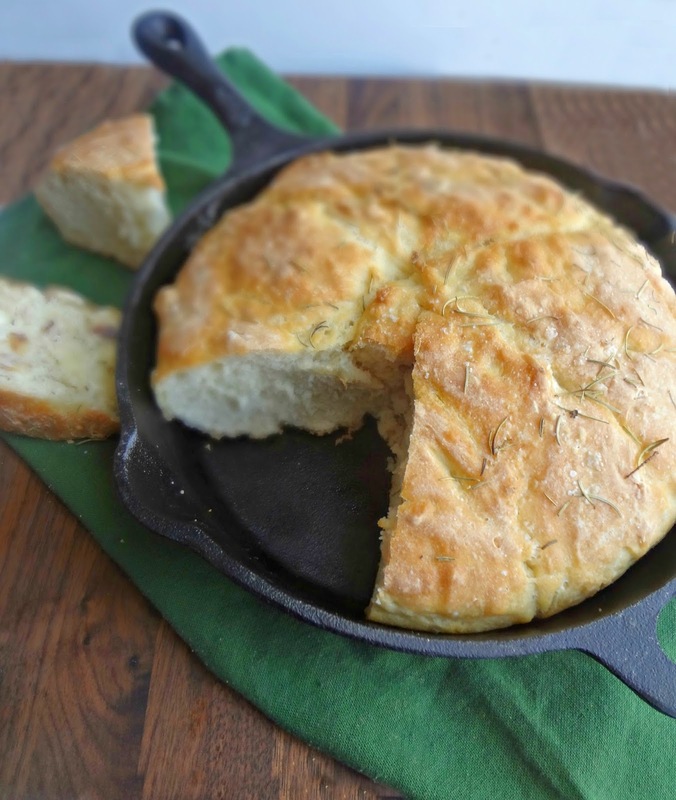 Next time I make this I will remember to push the rosemary into the dough because it did stay on for me. Thank you! !